LinkedIn Profile Right Up There with The CEO! 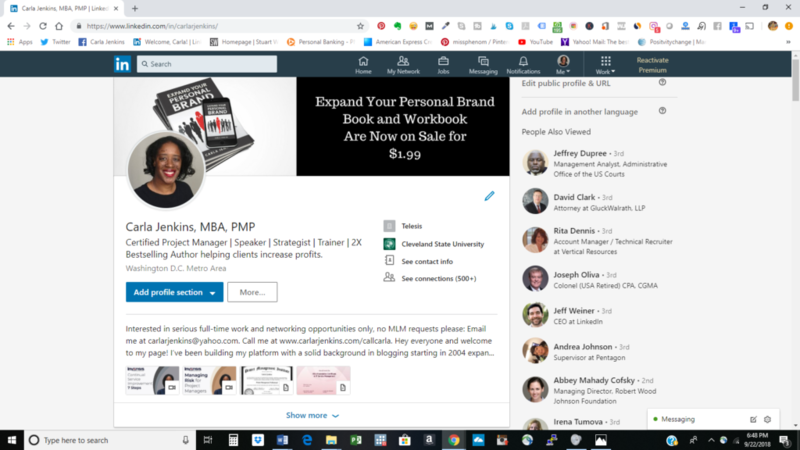 I am completely beside myself (in a good way) upon learning that my LinkedIn profile is grouped along with the LinkedIn CEO Jeff Weiner! How cool is that? That I am in such great company is the best news of this week because I work so hard on ensuring that my LinkedIn content is the absolute BEST stuff out there. I have over 290 LinkedIn Pulse, steady stream of business, social media and project management videos and always contribute knowledge to my groups.